Millions of people in the U.S. suffer from a mental health condition. Unfortunately, mental health disorders put people at high risk of developing a substance use disorder, too. 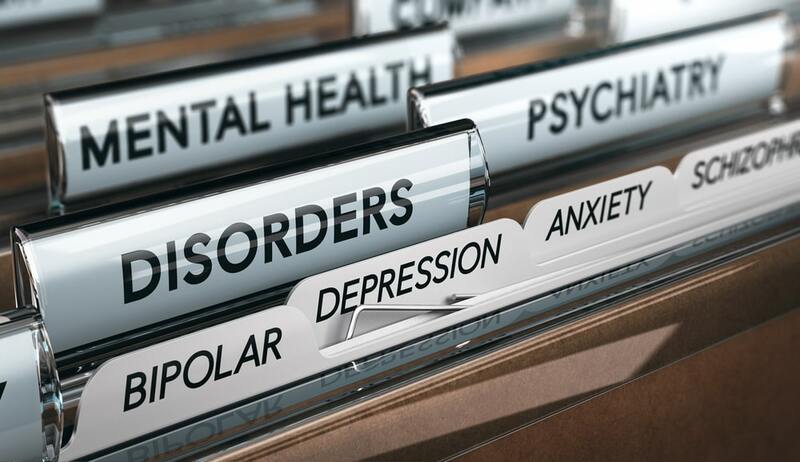 Mental health disorders with comorbid drug addiction used to be called a dual diagnosis, but is now referred to as a “co-occurring disorder.” 7.9 million people in the U.S. suffer from a co-occurring disorder. The following article will explore the signs and symptoms of co-occurring disorders, why they happen, and where someone can go for treatment. When someone suffers from a mental health condition and is not able to get adequate treatment, they are at high risk of turning to either drugs or alcohol to alleviate their symptoms. In clinical terms, this is what’s known as a co-occurring disorder. Treating a co-occurring disorder requires more intense, one-on-one treatment options than if a person was only suffering from one or the other. Substance abuse symptoms and mental health symptoms can make both conditions worse. Drug or alcohol abuse can also worsen a person’s physical health, which can lead to other consequences that make treatment harder for this subset of patients. Who is most at risk of developing a co-occurring disorder? Of the 7.9 million people with a co-occurring disorder, more than half are men. Also, co-occurring disorders increase the risk of suicide attempts. People with untreated anxiety disorders, bipolar disorder, and schizophrenia are the most at-risk of abusing drugs or alcohol. Studies suggest that anxiety sufferers are almost twice as likely as the general population to abuse substances. Only 7.9% of those with a co-occurring disorder ever receive treatment for both conditions, which is crucial for recovery. More than half of all people with a co-occurring disorder receive no treatment at all. What are the signs and symptoms of a co-occurring disorder? Cravings for the substance, and the belief that they need the substance to function. The symptoms of a mental health condition can also vary from person to person. But several warning signs such as confused thinking, problems with concentration, and suicidal ideation are the most severe warning signs. If someone is displaying these symptoms of a co-occurring disorder, it is crucial that they receive swift medical attention from qualified mental health and drug abuse counselors. Why would someone with a mental health condition abuse drugs or alcohol? In severe mental illness such as schizophrenia or other psychotic conditions, there are no protective factors against drug abuse and addiction present in these individuals. For example, women in the general population exhibit lower substance abuse rates than men, and Asian-Americans also have lower substance abuse rates than Caucasian Americans. But those differences aren’t present in people who have a severe mental health condition. Also, young adults with mental health conditions have smoking rates as high as middle-aged adults, even though smoking rates amongst young people are significantly lower than those in older populations. Untreated mental health disorders cause severe, distressing symptoms. Drugs and alcohol can dull these symptoms, such as fear and anxiety. For those with a mental health disorder, drugs and alcohol can offer quick, short-term relief. But unfortunately, drugs and alcohol will make mental health symptoms worse over time, and lead to poorer physical health and lifetime outcomes. Studies show that for schizophrenics, in particular, they have shorter life expectancies than the general population. This has been linked to higher rates of tobacco use amongst people with schizophrenia. Smoking causes increased rates of cardiovascular disease and lung cancer which may help to explain lower life expectancies. Also, studies show that people with severe mental illness were up to four times more likely to abuse alcohol than the general population. They were also more likely to abuse marijuana and tobacco. Although smoking rates have gone down amongst the general population, tobacco use is still one of the leading causes of preventable death in the U.S. for people with co-occurring disorders, and it is vital that they receive help for both conditions. Without adequate treatment, they will experience a decrease in life expectancy and an increase in physical health problems. What type of treatment is effective for people with a co-occurring disorder? Patients with co-occurring disorders need intense, life-long care and integrated treatment plans. Depending on the severity of their drug or alcohol addiction, they may need to undergo a stay in a medical detox facility first. Doctors can help patients safely withdraw from drugs or alcohol in a medical detox center. Rehab is usually recommended for patients with a co-occurring disorder. During rehab, patients have access to therapists and doctors around the clock. They can receive customized treatment for both their mental health condition and substance abuse disorder. Rehab centers provide access to therapy, support, and medication for mental health disorders. People with a co-occurring diagnosis may need access to supportive housing after completing inpatient rehab. Supportive housing can offer them a safe way to transition and avoid relapse. Patients with a mental health condition and a substance use disorder will also need ongoing care to prevent a relapse of either drug or alcohol abuse or their mental health disorder. Cognitive behavioral therapy, group, and family therapy are all effective treatment methods for managing the complexities involved in dual diagnosis. Substance use disorder and mental health conditions are life-long diseases that require integrated care. Although these conditions can be challenging to diagnose and treat, it is possible for people to manage their symptoms and live a productive, fulfilling life. If you or someone you love is suffering from a co-occurring disorder, do not hesitate to reach out to a therapist who is experienced in treating co-occurring disorders.